Do you often find your children begging you to tell a story which you must have narrated to them at least ten times by now or even more? Story telling is a top favorite amongst majority of the kids. Bedtime stories are simply loved by small children. Storytelling is a great way to establish a unique bond with the kids. When you were a small kid even your grandmother or grandfather would have narrated a variety of stories to you and you would listen attentively to every single word they spoke. The bond that is formed between the children and their parents as a result is quite strong and can be cherished for an entire lifetime. Video games and televisions consume time which is required to create a bonding between parents and children. Have you ever noticed the fact that the first story that you narrated to your kid is still remembered by him but the first show that he watched on TV has been erased from his memory a long time back. It should be kept in mind by all parents that storytelling is any day better than allowing your kid to sit on the computer for some more time. 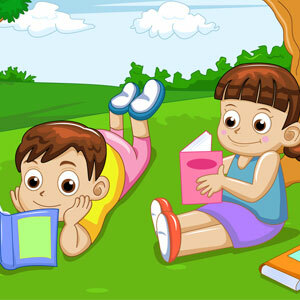 Besides providing bed-time entertainment to kids some great morals are also imparted to your children by means of stories. Story telling is actually considered to be an art and it is only a matter of time before parents master this interesting art. But the fact is that the art of storytelling is not so easy to learn. A lot of imagination and creativity goes into the bed time stories narrated to children. Parents have to generally evolve their own storytelling strategies so as to spice up the stories that they narrate to their kids each day and make the whole experience all the more enjoyable. As the families are now increasingly growing nuclear it gets hard for the parents to tell stories containing original ideas to their kids. But Indian myths, fables, epics as well as folktales prove to be an amazing source of little children’s stories. How can you make the storytelling session more interesting? Parents must read a variety of stories in order to know what appeals the most to their children. You should also remember that the mimicking as well as the voice modulation make the storytelling session more enjoyable than just the content. Use a prop for having a better effect. Suppose the tale of Cinderella is being enacted then preparing props such as the magic wand o wearing gowns can prove to be really interesting and your kid would be overjoyed. Folktales : Usually folktales do not contain passages which are too long and descriptive and mainly focus on the plot. In such stories there is an introduction of problems and characters, setting up of an obstacle which finally ends with a resolution. Examples are little red riding hood, Cinderella and Punyakoti. Repetitive tales : Repetition is quite popular amongst the young. The story of Ginger Bread Man is a typical repetitive story. The sparrow and the crow story is another such example. Animal tales : Stories in this category represent an animal with human qualities and faults so as to make kids identify with such characters. Now days famous cartoon characters shown on Indian television are also animals. Literary tales : Older children can connect more easily with such stories. Examples are Hans Anderson’s Fantasies and Aesop’s fables Greek collection. Even adults around the world can enjoy these tales. After you are done with the storytelling sessions ask your child re-tell the entire story and also explain whatever they have understood. It would prove to be beneficial in improving your child’s communication skills. Thus storytelling can be turned into an exciting affair by following some of the tips given above.